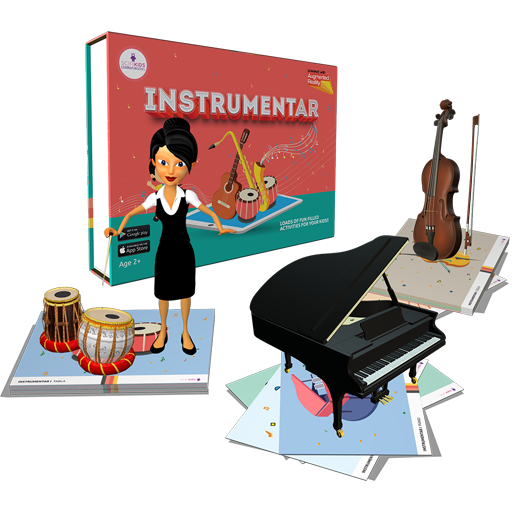 To help concentration, creativity, cognitive thinking and active participation. All materials used are child-safe. 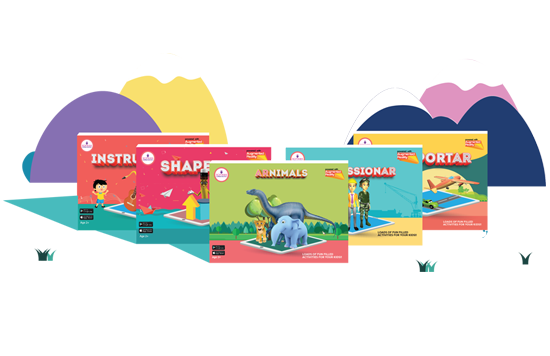 A discounted pack of 5 fun learning kits rolled into one. 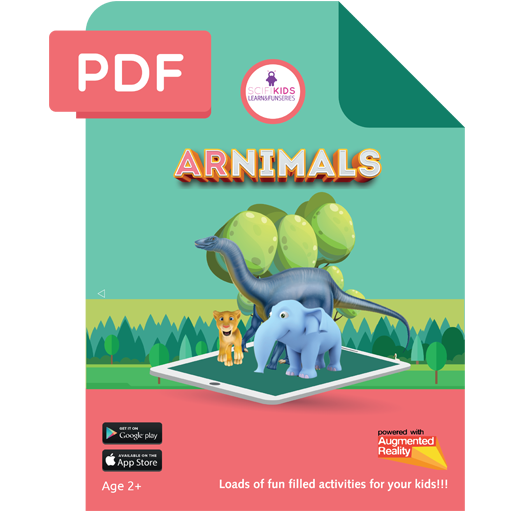 Learn about the wildlife, transportations, different professions, musical instruments and basic shapes, also includes multiple activities and games. 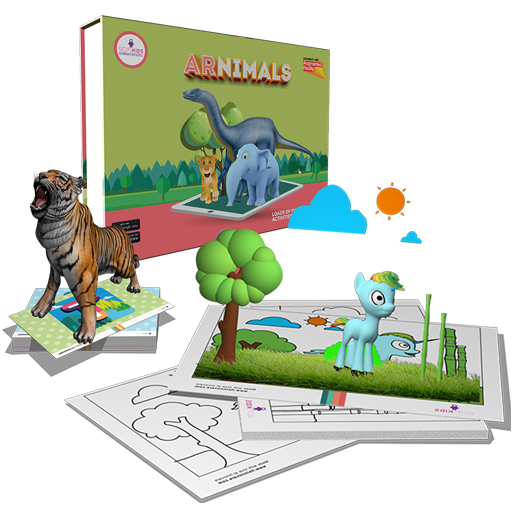 A wonderful gift for any kid, filled with activities and educational fun. 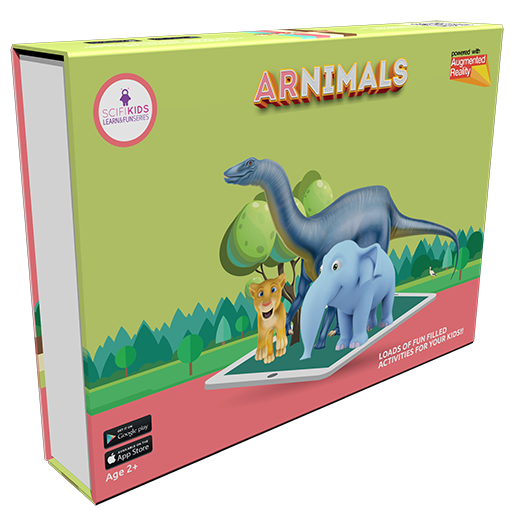 Contains 26 alphabet cards, each representing one fascinating animal and 6 educational activity cards Watch the animals come to life and play around as your kid learns and interacts with them in this perfect merge between the reality and the digital world. 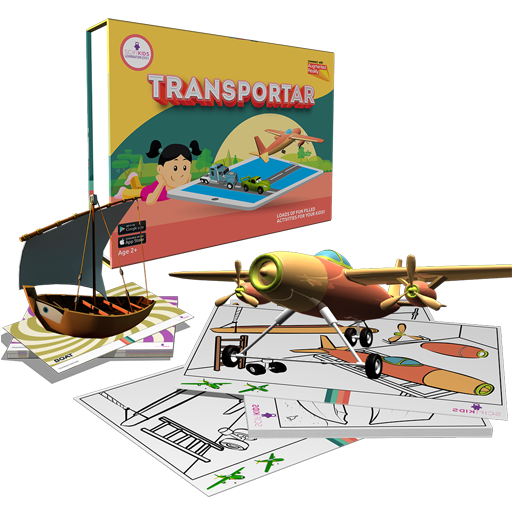 Comes with 10 transport cards and 10 coloring activity cards A fun learning kit to learn about the most popular transportations, an engaging experience for kids to learn more about their favorite vehicles and see them in action. 10 professions and 10 fun interactive activities An engaging and interactive way to learn about the professions that drive our world. 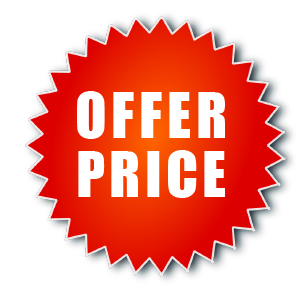 A fun and entertaining experience filled with activities to give a firsthand learning for your kid. 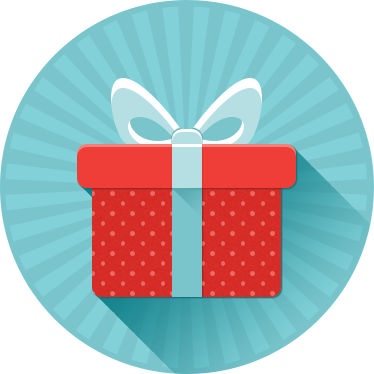 20 cards and 2 fun learning activities. 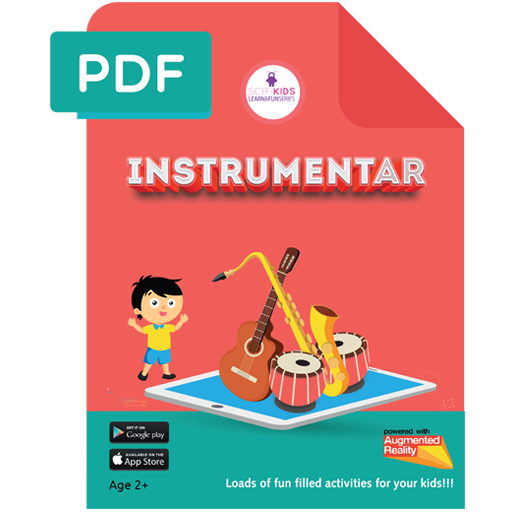 Watching kids react to music is a marvelous sight, with our team of specialists we have put together this educational kit to serve as a wonderful learning experience for you young ones. All materials used are child-safe testing. 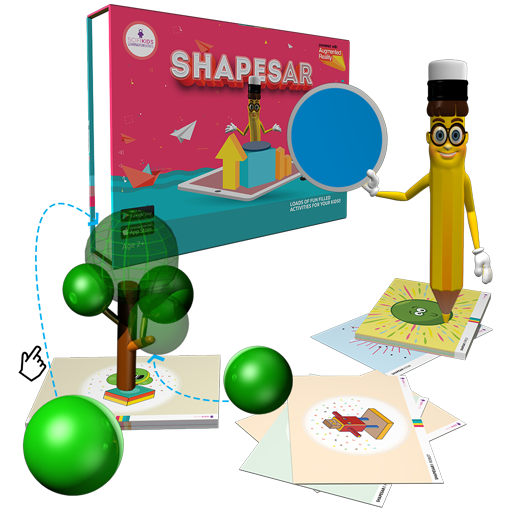 10 shapes and 10 educational activities. 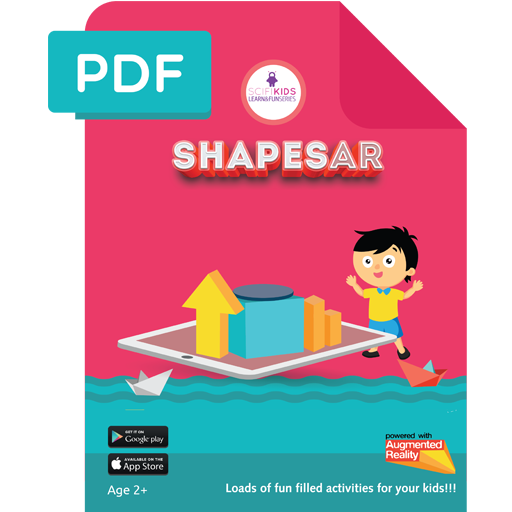 Have your kids learn the basic shapes around, a fun and educational way to make them understand and comprehend about these basic shapes and help them retain what they have learned through activities like building stuff using the shapes and many more.